The CRF staff would like to welcome our newest colleague, Amanda Moore. Amanda will serve as our Events, Communications, and Office Manager. Amanda graduated from UMass Amherst in 2000 with a Bachelor of Arts in Sociology and a minor in African American Studies. 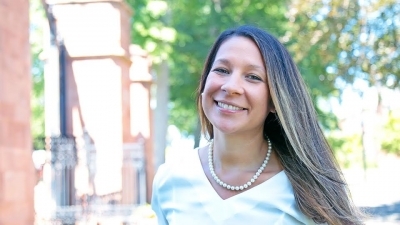 Before CRF, she worked as an Admission Counselor and Events Manager at Mount Holyoke College. She is most excited to be back at her alma mater working alongside faculty. She is most looking forward to exposure to a variety of research. We are looking forward to continued work with Amanda and have thoroughly appreciated all of her work with CRF thus far.